Twelve weeks into an otherwise healthy pregnancy, Jessica Voit went to her OB-GYN last year for a routine visit. The 31-year-old assistant professor in geriatrics and internal medicine was devastated to hear the news that her baby’s heartbeat couldn’t be detected. In shock, she left the ultrasound room and walked back to her Ann Arbor, Michigan, office to share she had a miscarriage with three of her closest colleagues. “I don’t know what words came out. I was just crying. I told [my colleagues] before I told my parents. There wasn’t a second of hesitation to share this with them,” she recounted to Know Your Value. For some like Voit, it may be natural to discuss pregnancy loss with co-workers. For others, it’s a deeply private issue – but may be unavoidable to talk about if the pregnancy was far along. Or, it may be somewhere in between. No matter the situation, it’s often difficult to navigate the physical and emotional toll of a miscarriage when you’re back at work. But it doesn’t have to be or feel impossible. Here are three strategies that can help with the challenges of returning to work after pregnancy loss. 1. Be intentional about who, if anyone, at work you choose to tell. For others, it may make sense to tell a very select few. For example, after returning from summer vacation in Puerto Rico in 2015, Mikhayla Anderson learned that her pregnancy was no longer viable at her 8-week doctor’s appointment. Anderson, 39, told Know Your Value that she shared news with her circle of fellow female yoga teachers at the New Orleans studio where she works. One brought her flowers, while others offered helpful statistics and shared their own experiences with pregnancy loss. “This happened to us,” she recounted them telling her, “You’re going to be okay. This is the cycle of our body.” It was comforting for Anderson to hear from women who had gone on to have healthy pregnancies. Of course, not everyone has personal relationships with their colleagues, which can make disclosing a miscarriage at work more difficult. Still, there will be some instances (if you need to take a significant time off, for example) where you may have to tell your boss. Or, you may need to tell your co-workers if they already knew you were pregnant. 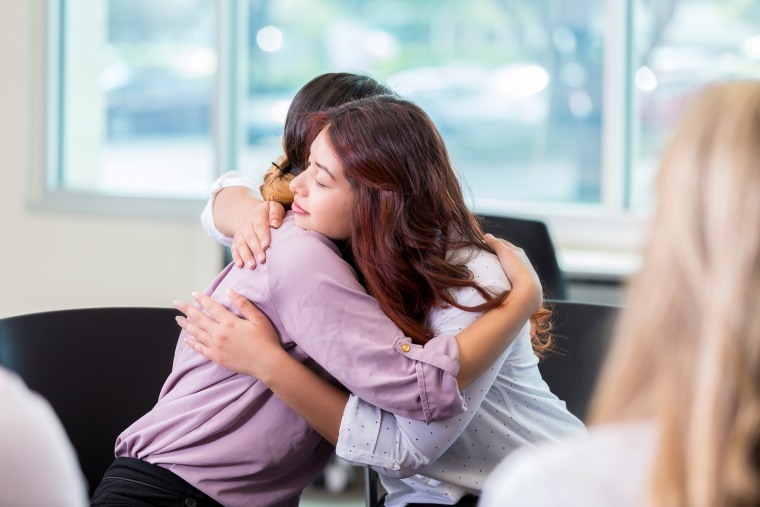 It might be difficult, but consider sharing the experience with the one or two people with whom you work most closely or who you feel will provide the best support, suggested Aced-Molina. That way someone who knows what’s happening can be there for you or privately tell a frustrated colleague, “Go easy on her; she’s having a tough week,” she said. 2. Remember, it’s not your fault. Nuner personally knows what that guilt is like. In 2009, she had a miscarriage when she was boarding a plane to attend a conference. Even though she knew she could not have controlled the outcome, she said “I was feeling guilt and shame for having gone on that work trip.” Nuner found her physician’s response to be helpful and reassuring: “This was going to happen whether you were here or at a conference,” she recalled her doctor telling her. 3. Seek support outside of work. Two weeks after her miscarriage, Voit continued to experience anxiety and opted to see a counselor. Voit said it was “powerful to have someone who wasn’t emotionally distraught at my crying,” adding she felt like she had a space to deal with the pain on her own terms. Aced-Molina stressed the importance of rest and recovery following a miscarriage and said breathing exercises and meditation can help. Lelia Gowland works with women who want to increase their impact, leadership capacity and career fulfillment. An expert in gender dynamics in the workplace, Lelia is a sought-after speaker, writer and coach.